The sleek and chic timepiece is trimmed with sparkling pave stones on the bezel and hour markers for an elegant look. 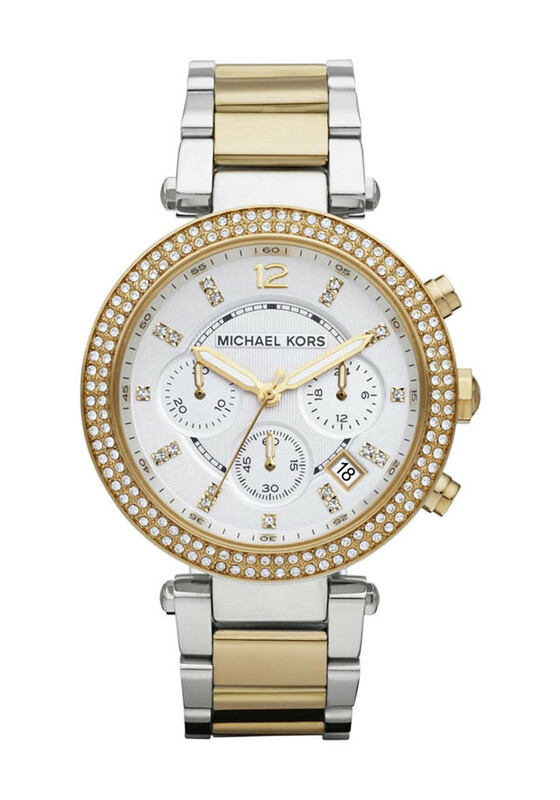 The brushed stainless steel bracelet and round face create a timeless design on the Parker watch from Michael Kors. The two tone finish ensures the watch will match virtually everything in your jewellery collection.